#1 Best Seller in North America & EU. We have great news today! Your Grace stella FAVE IS BACK IN STOCK. 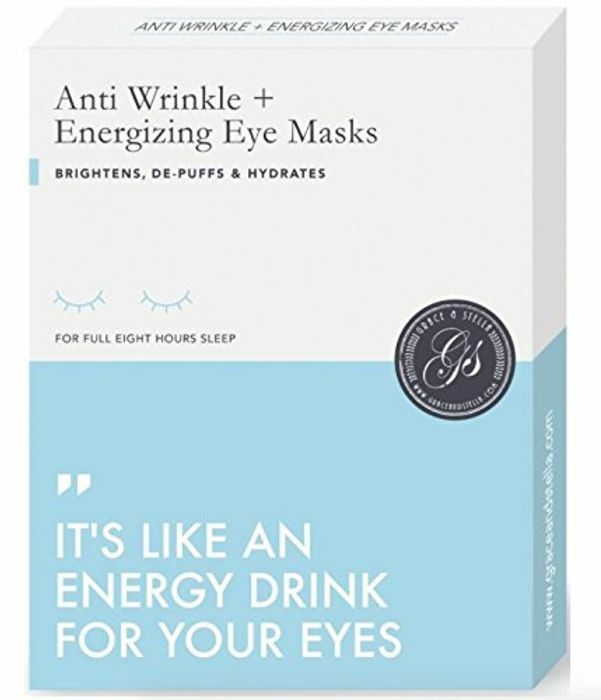 We are happy to introduced our top Ranked Plant-based INSTANT DE-PUFF + ANTI-AGING you will notice a reduction in lines/wrinkles/dark circles best night wrinkle repair treatment . 24k PLANT BASED Gold eye mask is widely used as LUXURY and prestigious skin treatment in TOP spas all OVER the world. Best FACTORY PRICING & VEGAN PLANT BASED INGREDIENTS You get the lowest price possible for the highest quality product in the whole market. We use only plant-based collagen in formulating these perfect hydrating eye masks! SOOTHING & RELAXING: If you've been wearing makeup for a long time, your skin might need the rejuvenation and healing our Eye Masks provide. Our main ingredient is PLANT BASED COLLAGEN,this will restore elasticity and firmness to your skin, and reduce wrinkles, puffy eyes, fine lines, crows feet and the appearance of bags and dark circles under your eyes.